C2e’s experienced and socially responsible team of industry leaders have extensive backgrounds in developing large-scale capital projects across the energy, pharmaceutical and fine chemical industries. C2e’s principals have repeatedly demonstrated the ability to successfully design and build sophisticated, clean, safe, durable, and regulatory-compliant production facilities. Jerry Kovacich is the original founder of C2e. He was formerly the founder and president of APECS, Inc., a leading engineering and project management company in Boulder, Colorado. He has over 30 years of experience in the design, startup, commissioning, operation, and maintenance of facilities in the energy, specialty chemical and pharmaceutical industries. At APECS, Mr. Kovacich worked as a contract consulting engineer for client firms pursuing technology pathways for the production of renewable energy fuel products. These projects involved candidate technologies for biomass gasification, photovoltaics, green coal torrefaction, cellulosic ethanol, and other emerging green-fuel technologies. This work led to his recognition of bio-derived methane as an immediately available and commercially viable, yet under-developed drop-in fuel technology. While at APECS, Mr. Kovacich led the master planning, detailed design, construction, and commissioning of a $140MM green-field bulk active pharmaceutical manufacturing facility in Southern Taiwan. Prior to APECS, Mr. Kovacich worked at Syntex-Roche, where he was involved in technology transfer and commercialization on a number of successful pharmaceutical chemical process implementations. He has also worked for Dow Chemical in the late-stage development and commercialization of catalytic halogenation process technologies, and for Shell Oil in gas production. Mr. Kovacich earned a bachelor’s degree in chemical engineering from Montana State University, with supplemental degrees in math and business administration. Thomas Mulholland is a co-founder of C2e. He is also the owner and co-founder of Golden Energy Services, Inc., a company that currently manages over $200 million in electricity and natural gas commodities for clients throughout the United States and Canada. Golden Energy Services develops and provides ongoing management of energy supply strategies and solutions for its clients. 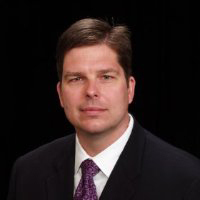 Mr. Mulholland has 18 years of experience in the development and management of electricity and natural gas supply and transportation agreements, development of cogeneration projects, and development of energy and business strategies. Prior to founding Golden Energy Services, Mr. Mulholland was a principal at e prime Energy Traders, Inc., an unregulated subsidiary of Xcel Energies. He was responsible for developing e prime’s business case including achieving board approval for its initial $10 million capitalization, and the implementation of energy commodity management strategies. Prior to e prime, Mr. Mulholland held successive leadership positions at Public Service Company of Colorado. His experience includes information technologies management and outsourcing, energy efficiency projects, power process control and optimization, electric cogeneration, industrial sales and marketing. Mr. Mulholland has closed over $300 million in electric contracts over the past 10 years. He earned a bachelor’s degree in general engineering from the University of Illinois, Champaign, Ill.
Samuel W. Grossman, P.E., joined C2e in 2016. He has over thirty-six years of leadership experience in development, design, construction, consulting and operations of industrial and commercial projects. Areas of expertise include: fossil/hydro/geothermal/nuclear power, wastewater treatment, universities, refineries, food processing, electric and gas transmission. Before Mr. Grossman joined C2e he was on international assignment as Program Manager of Infrastructure for Chevron at their Tengizchevroil Joint Venture in Kazakhstan. Mr. Grossman has had a rich career working in Operation, Maintenance and Engineering roles at fossil fuel power plants, hydro power plants, geothermal power plants, nuclear power plants, wastewater treatment plant, refineries, food processing plants and universities plant/infrastructure. Mr. Grossman is an active Leader in the World Federation of Engineering Organization representing approximately 100 countries around the world. Currently he serves as Chairman of the Committee on Energy where he is directing a team of world experts on Wind Power, Nuclear Power, Solar Energy and Sustainable Energy for All. Mr. Grossman is sponsored by American Association of Engineering Societies (AAES) and American Society of Mechanical Engineers (ASME). He was the 2009-10 President of the National Society of Professional Engineers (NSPE) representing all Licensed Engineers throughout the United States of America. Mr. Grossman is a Licensed Civil Engineer, Licensed General Engineering Contractor and Licensed General Building Contractor. Mr. Grossman has a Bachelor Degree in Civil Engineering from the University of the Pacific, Stockton, California. Steve Harmon is a founding member of C2e. He has over 25 years of experience in domestic and international construction project leadership. 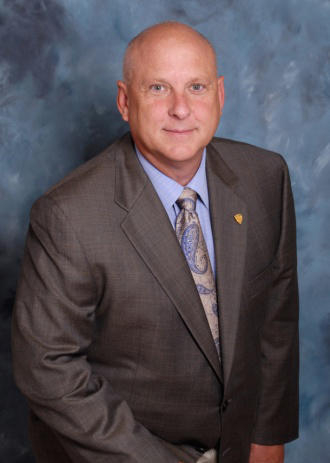 Mr. Harmon has founded and operated multiple construction businesses in commercial, industrial and residential fields. He has held leadership roles at major chemical operating companies with increasing levels of responsibility in chemical facility operations and maintenance. At APECS, Inc., he served as a construction consultant and project/construction manager for a number of major industrial clients. Mr. Harmon is recognized for his unparalleled professional skill in the implementation of complex technology projects. His expertise is in construction and project management, contracts administration, construction safety, permitting, commissioning and start-up chemical and industrial processing facilities. He has directed project execution programs for firms throughout the continental U.S., as well as projects in Australia, Taiwan, and China. These include chemical and pharmaceutical processing facilities as well as green-tech and advanced energy products. Mr. Harmon received the Facility Construction Team Excellence Award for Chevron’s state-of-the-art Global Technology Process Command Center in Richmond, Calif.
Dan Tyndall joined C2e as a founding team member in 2014. Prior to C2e, Mr. Tyndall has worked in the chemical industry is various capacities for over 30 years, with the last 10 years at Air Products and Chemicals, Inc. overseeing product development. Previously he worked for the National Renewable Energy Laboratory (NREL), managing the biofuels department. Most of Mr. Tyndall’s experience has focused on technology development and commercialization in the areas of industrial gas production, gas purification, power generation and process optimization. Mr. Tyndall has held a wide variety of positions in his career including positions in Raw Material and Finished Product Logistics, Technical Service, Economic Evaluation, Project Development, Business Development, Technology Evaluation, Technology Planning, Technology Development, Technology Management and Technology Portfolio Management. Among his accomplishments,Mr. Tyndall developed and commercialized Air Products (APCI) Hydrogen Energy Station in collaboration with Fuel Cell Energy (FCE). The Hydrogen Energy Station was based on a DOE-sponsored project focused on generating multiple renewable products from biogas obtained from digesters owned and operated by Orange County Sanitation District (OCSD). The HES demonstration unit came on-line in 2010 and produces the following renewable products: CNG, Pipeline Grade NG, fuel-cell-grade methane, grid power and fuel-cell-grade hydrogen. He has also developed and commercialized membrane technology that purifies biogas into renewable methane which meets pipeline and CNG specifications for NG. His expertise covers: methane reforming, gas purification, fuel synthesis, direct liquefaction, indirect liquefaction, adsorption, membranes, cryogenic processes, compression and plant/system optimization. Maris came to C2e from Westbury Group, LLC, a FINRA-registered investment banking firm providing financial and strategic advisory services to late venture and lower middle market firms. As a Managing Director and member of Westbury’s Technology, Media and Telecommunications (TMT) and Clean Tech/Renewables investment banking teams, he led capital raise and M&A transactions totaling $150 million. Mr. Licis focuses on financing activities and provides leadership and coordination of the company’s financial planning, budget management, and accounting procedures. He also provides financial insight and strategic support to the CEO. Mr. Licis earned an MBA in Finance and International Business from the University of San Francisco, and a BA Hons. in Management Economics from the University of Guelph. Carlos Sala has been a private investor and has served on and advised numerous company Boards of Directors during the last 17 years. He is currently Chairman of Trueffect, Inc, a technology company, Chairman of C2E, a bio-renewable energy company, Board Member of Polestar, Inc., an oil and gas consulting firm, Trustee of the Alexander Dawson School and Chairman of its Finance Committee. During his time as a private investor, he has been involved in guiding several private equity companies through numerous successful capital transactions. For three years prior to 2000, Mr. Sala was Chief Financial Officer of Abacus Direct, Inc., a NASDAQ listed direct marketing technology company. In that role, he lead the sale of the company to Doubleclick, Inc. in a $2.3 billion transaction. From 1992 until 1997, Mr. Sala was Chief Financial Officer of Dal-Tile International, Inc., a NYSE listed firm and the world’s largest ceramic tile manufacturer. At Dal-Tile, he raised approximately $1.0 billion in capital including an initial public offering, public debt offering and numerous private financings. From 1990 until 1992, he was Executive Vice President of International Operations overseeing a $100 million business with 3,000 employees. Prior to 1990, Mr. Sala was a mergers and acquisition manager working for Ernst & Young in New York. In that role, he worked on leveraged buy outs, strategic acquisitions and sales performing financial due diligence, developing financial projections and capital structures on behalf of financial and strategic acquirers on transactions ranging in size from $50 million to several billions. Mr. Sala is a Certified Public Accountant with degrees in finance and accounting from the University of Georgia.